This month, we’re going to be looking at superfoods and how they can help you survive; how iodine can help your osteoporosis and increase your bone health, as well as assist you in maintaining a healthy thyroid and support you through a healthy pregnancy; and how CoQ10 could be your new best friend – especially with our 10% discount on our stocked product for the month of June! 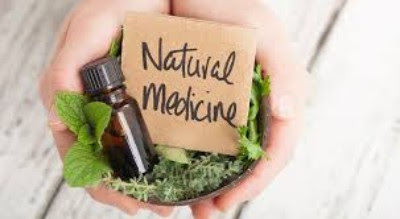 We hope the information contained in this month’s newsletter will give you a much wealthier insight to the benefits of different supplements, which we come across in both natural and man-made products. With a better insight comes better judgement when choosing the right foods to keep you both healthy and well. Additionally, we still have our Vitamin C powder on special, with a 20% discount! Paddy, John and the All About Health & Wellness team. Happy Birthday To …. US! 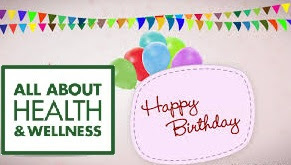 That’s right, it’s our birthday! 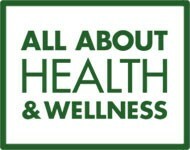 All About Health & Wellness in Crofton Downs shopping mall. Wow, doesn’t time just zip by! We’re still as enthusiastic as we were then to help each and everyone of you with your health and wellness – so please do get in touch, we’d love to hear from you! The article contained in June’s newsletter discusses serious health challenges, of which you or your friends or family may be a survivor or current patient of. Please consider this before clicking on the link below to view our June newsletter. To view our June newsletter, please click here. As always, if you have questions or would like to find a time to come in to talk to Paddy, John or Ali, you can enquire online or call us on 0800 200 299.